Asmau Jibril of the Federal Ministry of Environment of Nigeria articulated the importance of the session emphasizing that “Africa has come together to join the rest of the world in tackling the issues of climate change as we have just one world and we have to protect it now”. In the first session, panelists discussed the role carbon pricing could play in achieving sustainable development objectives. They highlighted the importance of designing carbon pricing initiatives in the context of local conditions to ensure predictability for future investments. They also referenced benefits that accrue from the incentives carbon pricing policies and measures create including technology development, revenue generation that can be channeled towards additional priorities, and job creation. Regarding the private sector, discussion highlighted how African businesses operate in a globalized world with global supply chains. The panel mentioned how in South Africa the number of companies disclosing the use or future use of an internal carbon price is increasing. Applying a price on carbon can help increase transparency and allows companies to make long term decisions regarding their investments and operations. The panel also noted that concerns regarding competitiveness, especially on energy intensive economies, need to be addressed to increase the responsiveness among businesses. They added that as companies begin linking their finances closer to their carbon footprint, climate action will accelerate. The panel underscored the need to have a clearly defined climate strategy with an overarching vision and purpose to define carbon prices that would be responsive, equitable and relevant. This will ensure a just-transition for people whose livelihood depends on fossil-fuel intensive industries. In the afternoon, representatives from the West African Alliance, UNFCCC, Perspectives Climate Group, UNEP, and the World Bank Group looked at ongoing carbon pricing initiatives in Africa, including those that build on past experiences with carbon markets and new pilot opportunities. A common theme across the ongoing initiatives was the importance of aligning carbon pricing initiatives with other domestic policies to avoid inefficiencies and unintended impacts and ensure coherence with sustainable development objectives. Finally, the closing session focused on international cooperation on carbon markets and the opportunities for African engagement. The discussions emphasized how the efficiency of carbon markets and their ability to increase climate ambition are worth fighting for—setting the stage for Article 6 negotiations moving forward. In the closing session, Dr. Venkata Ramana Putti of World Bank Group called for enhanced engagement with governments, private sector representatives, and civil society organizations and emphasized how institutional partnerships, such as the West African Alliance on Carbon Markets and Climate Finance, can improve the likelihood of carbon pricing adoption. CPLC partners, like the World Bank Group, will continue exploring ways to conduct country and regionally-specific carbon pricing research in Africa. 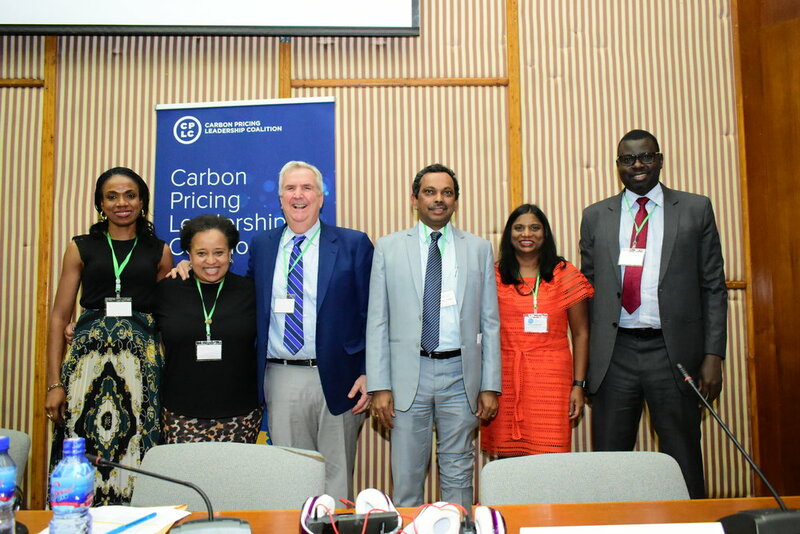 The CPLC aims to expand the Africa Working Group to bring in more stakeholders and foster important conversations on the role carbon pricing can play and the best practices for its implementation. CPLC partners will continue to support capacity building in African countries to ensure proper readiness for the implementation of carbon pricing initiatives that are environmentally effective and aligned with sustainable development. If you have questions or would like more information, contact terb@worldbank.org.